This is St Patrick's Catholic Church (I have never been in a Church so small!). 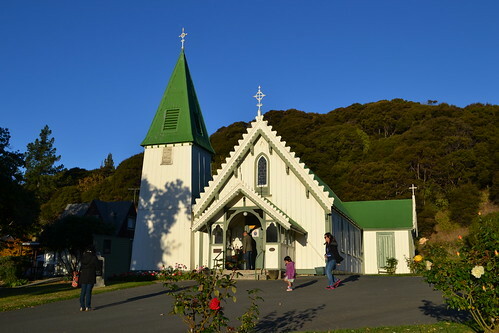 It's a beautiful old Church facing the sports ground and the bay. 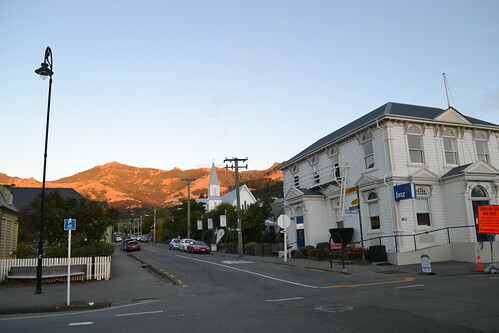 We arrived mid-afternoon and the sun was starting to settle. 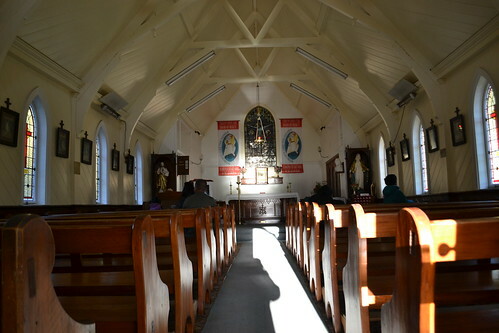 We visited this Church and spent some time inside. 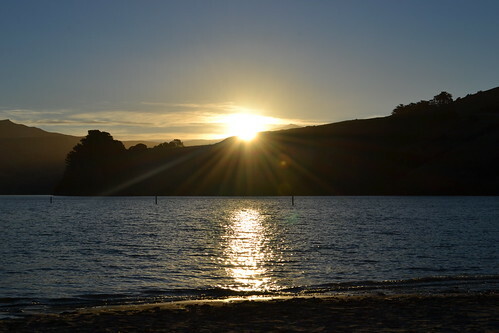 When we stepped out, the setting sun was reflecting off the waters and bathed the grounds with warmth. It was wonderful. We bought a kid's rosary for a couple of dollars - and we were pleasantly surprised that it's made in the Philippines! 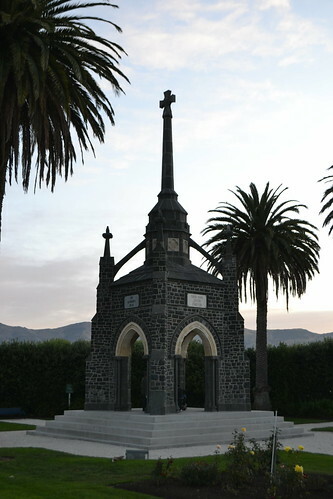 The Banks Peninsula war Memorial was a sight to behold. Our timing was impeccable in this instance, as we were there during ANZAC weekend. It's amazing how the entire nation comes together to commemorate those who made the ultimate sacrifice for our freedom. 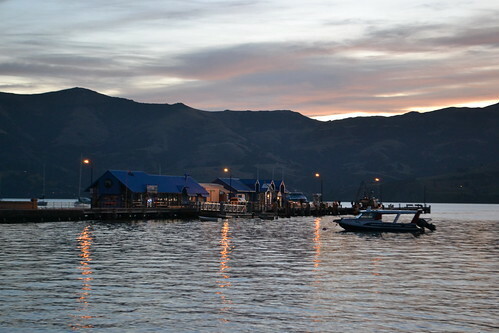 We stayed in Akaroa til dinnertime, where we tasted the best fish n' chips in town! 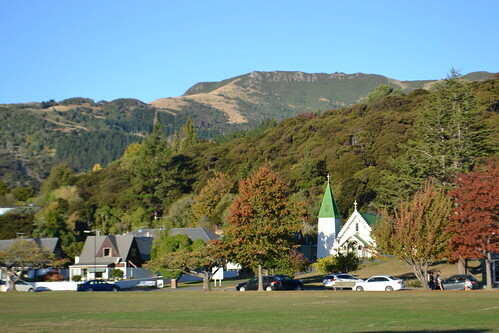 Then it's back to Christchurch for the night. 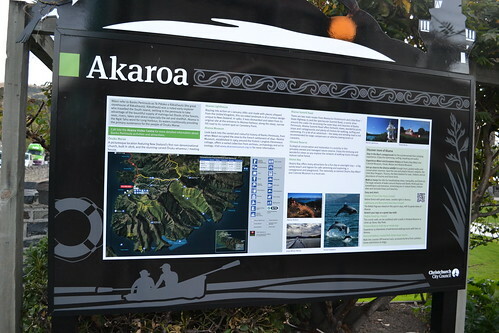 We were there for only a few hours, but there's lots of things to experience and see in Akaroa. Visit their website to learn more.